Interaction with potential and current customers is the best advantage you could have if you are a business owner. For example, what kept me staying with my current network provider is the fact that they have a 24/7 chat support, to assist me in any of my concerns. This is where I would like to emphasize the importance of communication in your service. Comm100 Live Chat is a very helpful website chat tool for any business owner, since it assists in communicating with customers in real time. Obviously, this is effective in satisfying customers, and can truly boost the chances of getting new customers. 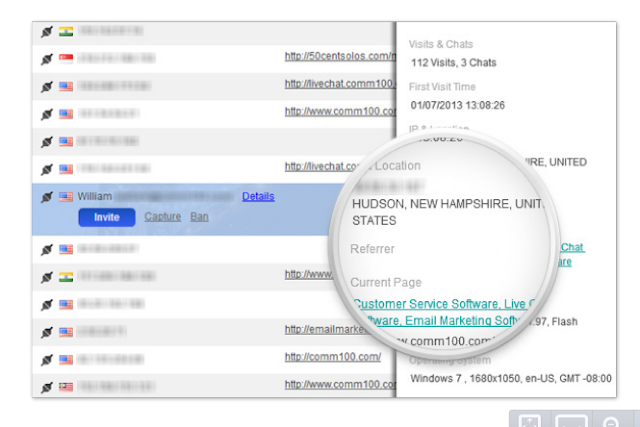 Over 100,000 registered business owners worldwide are using Comm100 Live Chat, including Intel, Aviva, Environment Agency, and Rogers, and it is TOP 3 in TopTenReviews' 2013 Best Enterprise Chat Software. It has also been featured in Yahoo!, Reuters, NBC, and WALL STREET JOURNAL. 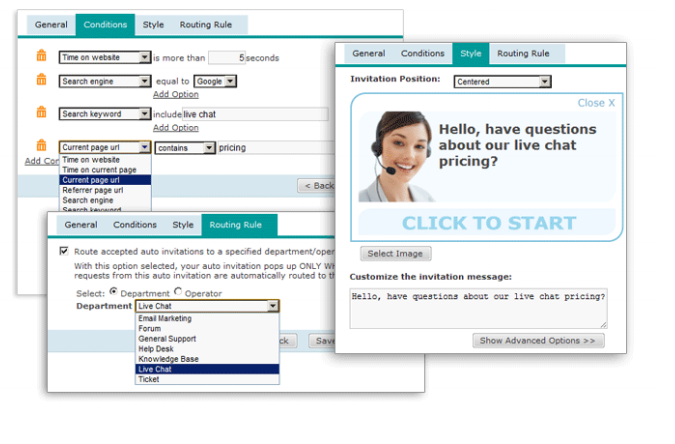 What are the features of Comm100 Live Chat? When you know who is visiting your website, you have a rough idea regarding their particular needs. This helps you into thinking of ways about how to engage them into getting your service. This tool helps you see how many visits a visitor has done, what pages have been viewed by the particular visitor, and how long he/she stays on a certain page. It also shows keywords used, to give the business owners an idea regarding the potential customers' interests. This is indeed a huge help when initiating sale conversations with the customers. 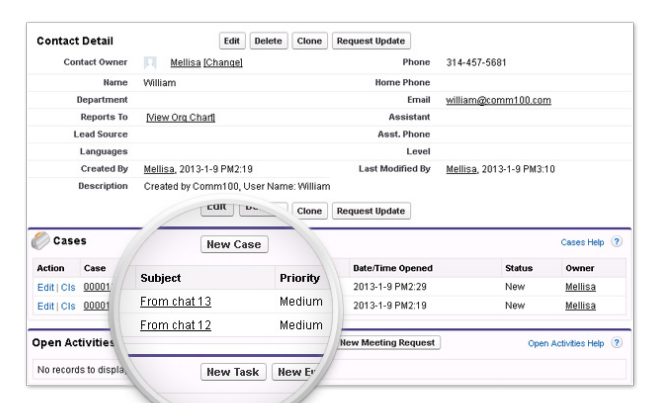 When tracking visitors becomes too time-consuming, auto chat invitations can be done to identify customers according to the settings that had been adjusted by the user. Adjustments can be done according to the time spent on the website, time on a certain page, current page URL, referrer page URL, visit times, search keyword, search engines, etc. By setting parameters, chat invitations become more personalized and more focused on potential customers. One of the Comm100 products is the Comm100 Ticket. This is very helpful when some cases such as support or sales could not be closed yet, and may need a follow-up, which some other live chat tools could not give. The ticket can have properties which include its status, priority, and many more, to assist the management of the case during the process. 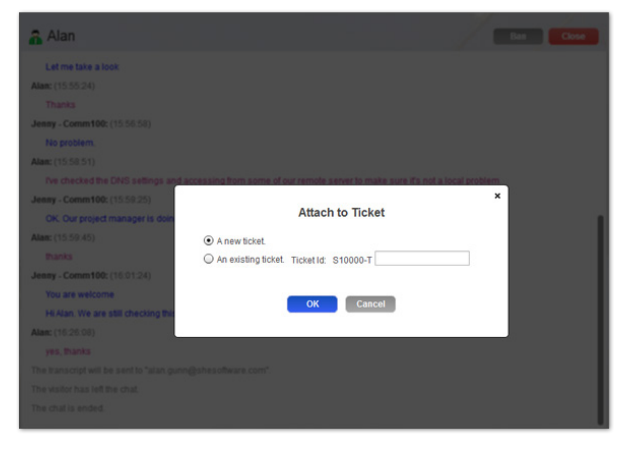 Basically, through this integration, live chats and offline messages could be converted into tickets, which include the case details that can help another staff in continuing a certain case the next time the customer with a ticket logs on again. CRM or Customer Relationship Management is relied on by businesses to track down their leads, customers, and other contacts. Comm100 Live Chat can be integrated with Salesforce CRM, and through this, after a live chat with the website visitors, leads, cases, and contacts, will be automatically made in Salesforce CRM. Once a visitor is already part of the Salesforce CRM, Comm100 users can detect this in their chat panel, and can easily retrieve the visitor's information through one click. This helps in creating a very personalized and effective customer communication. Comm100 Live Chat apps are available for iPhone, iPad, Blackberry, and Android devices. This feature helps in staying connected with your customers anywhere, anytime. Overall, I believe that having a website chat service is a huge help in gaining more customers and strengthening customer relations. With Comm100 Live Chat, this is possible, and it gets better with the tools that can track down and personalize services to customers. Thus, feel free to check out Comm100's website to learn more about this marketing tool. Great information. Another alternative is Live2Support which I am using since 2011.